We followed one West Seattle house through the entire home-selling process, taking an inside look at the real-estate market through the eyes of the sellers, buyers and agents. It ended with a twist. 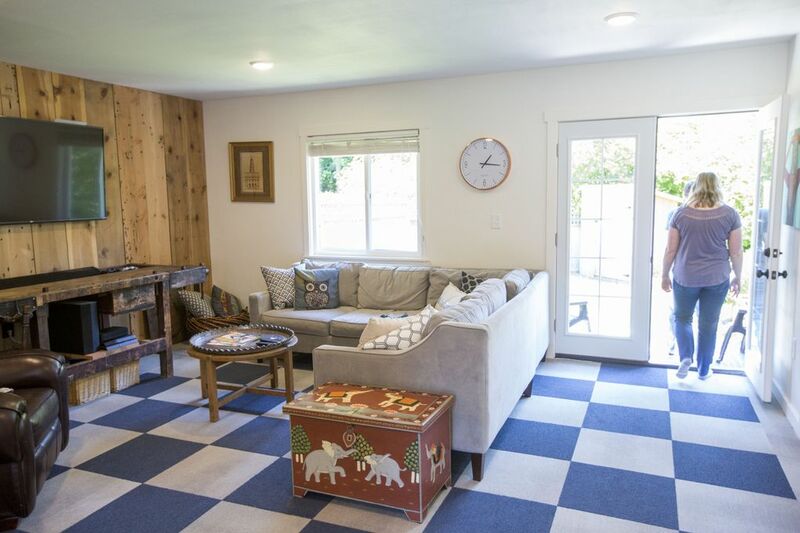 Real estate broker Shelley Godwin was wrapping up an open house in West Seattle when a young couple with a son walked in, and began looking around. They didn’t get this house, either. The day of their visit, about 30 people toured the four-bedroom home on a quiet cul-de-sac, priced low by Seattle standards at $625,000. 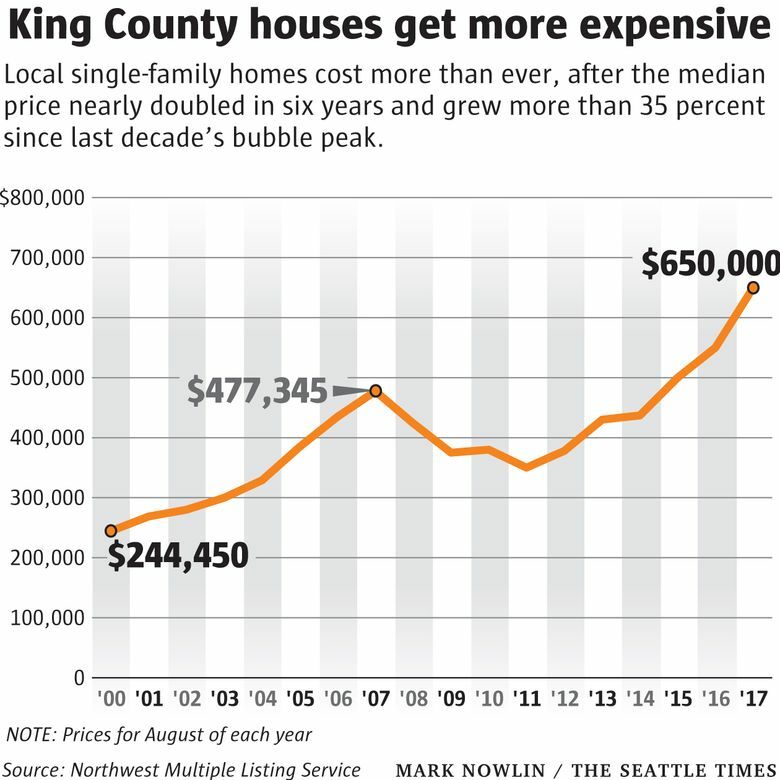 By all accounts, this is the worst time ever to buy a house in Seattle, even more difficult than the bubble period a decade ago: Prices are rising faster than anywhere else in the country, inventory is at an all-time low, the average home sells in just a week — the depressing stats go on and on. With the number of buyers greatly outnumbering available homes, bidding wars are standard. The perception is home shoppers need to raise their budget by $100,000 or more just to beat everyone else vying for the same homes, while sellers can kick back and watch how high over list price their home goes for. 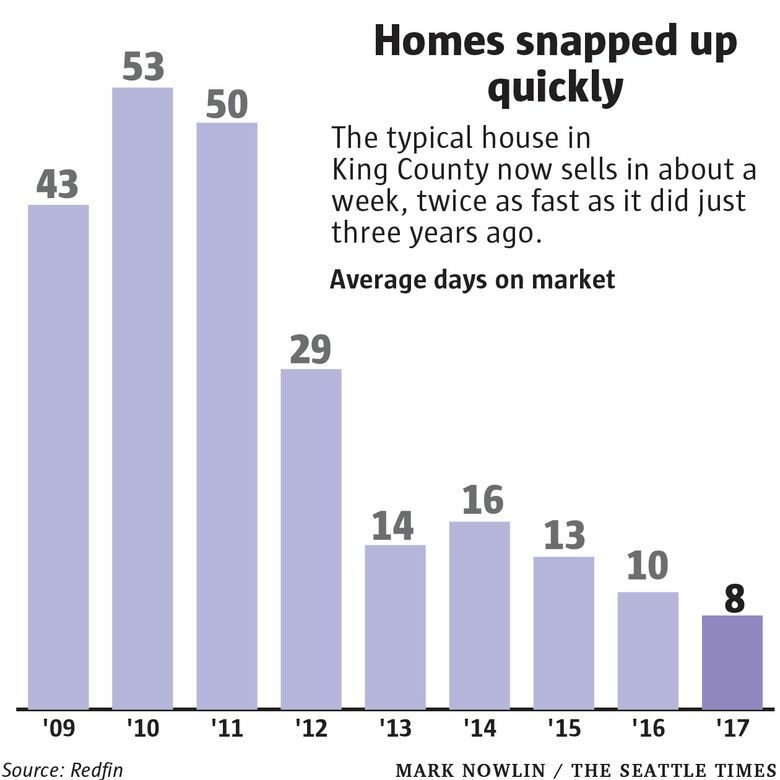 So what’s it really like to buy and sell a home during the craziest market in Seattle’s history? To find out, we followed that West Seattle house being sold by Godwin and her business partner, Sarah Georger-Clark, through the entire home-selling process this summer. It ended in a way the brokers had never seen before — and showed just how much power sellers have in this market. Lucy and Justin Weber know the real-estate market in Seattle is on fire, with the median price hitting a record $750,000 in the summer. It’s part of why they wanted to sell their house in Arbor Heights, a quiet residential neighborhood at the south end of West Seattle. 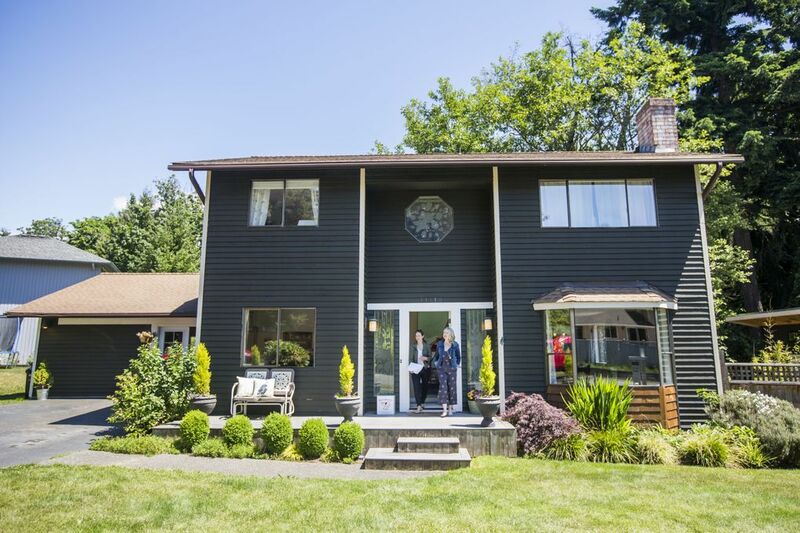 With the peak home-shopping season in full bloom, they had an itch to find a bigger property for a similar price near their kids’ schools, a ferry ride away on Vashon Island. So they hired Godwin and Georger-Clark, two Windermere brokers they knew from the neighborhood who seem to know just about everyone in Arbor Heights. Everyone seemed pretty optimistic. The two-story house had been renovated, it was big by Seattle standards — 2,400 square feet across a 10,000-square-foot lot, with a large backyard — and near a new elementary school. They set the price based largely on comparable nearby sales and hoped to attract bidders looking just below and just above their asking price. Justin, who works at a financial services company and follows the housing crunch closely, expected the home to get multiple bids and sell for above list price. “I feel like we’ve taken advantage of a good seller’s market,” Justin said. A few hours after the listing hit the market, it already had 500 clicks just on the brokers’ website. Lucy and Justin bought the 36-year-old house for $335,000 in December 2012, at the bottom of the housing plunge. After renovations like new floors and appliances, they were ready to move on. Their listing price was nearly double what they’d paid. Prices citywide have soared at a similar rate over the last half decade. Lucy, a Seattle Opera singer, wasn’t sure what to expect in terms of offers but wanted to have an emotional connection with the buyer. She’s kept in touch with people who have bought a previous home she sold in West Seattle, and wanted to make sure she wasn’t sticking her neighbors with a bad owner. Their brokers tried to temper expectations. What if another house nearby came on the market for a better price tomorrow? What if the perfect buyer happens to be on vacation this weekend? You should be prepared for anything, Godwin and Georger-Clark told the Webers. “It’s the Wild West,” Godwin kept repeating. At the open house, every layer of the real-estate market was on full display. First are the looky-loos. Usually they’re neighbors eager to get a peek inside a home they’ve driven or walked by, or someone halfheartedly window shopping. Second are the toe-dippers. Most people start out looking for the perfect house and get slowly beaten down into reality; it can take shoppers six months or more to “win” a house. Third are the serious buyers. This hardened bunch will come back multiple times, often with their agent, asking detailed questions, like about sewer systems. They test their chances of winning a bidding war, asking about the interest so far and when offers are due. 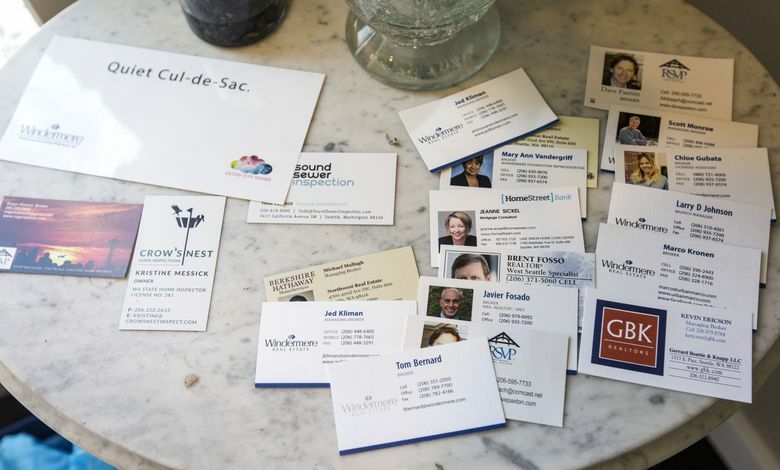 The Webers’ brokers wound up collecting about 20 cards from agents — a good sign of serious interest. The house got more views on their Facebook page than any previous listing. It became a certified “Hot Home” on Redfin. In Seattle, most homes are put on the market in the middle of the week. An open house for brokers typically follows, then weekend open houses for the general public, before an offer deadline on Monday or Tuesday. All told, people have to make the biggest financial decision of their life in a matter of days, often without being able to do basic due diligence like a home inspection. Others called the process “daunting.” Most were visibly worn down, having power-toured a dozen or more homes in a weekend. Nearly all had stories of falling in love with houses, only to lose a bidding war. 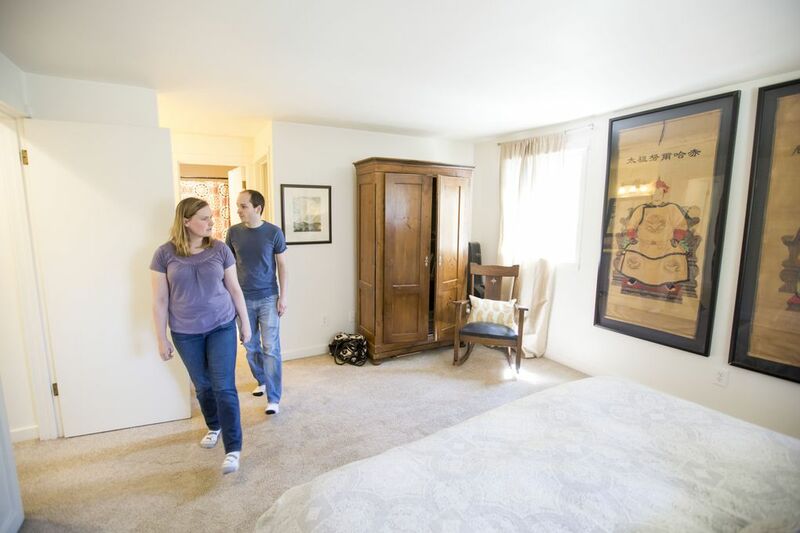 “We’ve had nights and weekends where it’s like, ‘OK, we can’t afford to live in Seattle,’ ” said another open house visitor, Matthew Amrhein. The shock came when offers on the Webers’ house came due. Despite the dozens of open-house visits and the thousands of people who clicked on the listing online, the Webers got just one offer. That happened in 1 in 10 Seattle home sales during this year’s peak shopping season. It turns out Godwin’s “Wild West” assessment was right. Right after the house went on the market, a similar but slightly cheaper home nearby also went up for sale. Agents for interested buyers who didn’t submit bids told Godwin they had gravitated toward the other house. Others thought the Weber home was too far south, or too far from a bus line. Or some of the home’s custom features — like the garage-turned-rec room — weren’t for them. Godwin and Georger-Clark tried to “manage disappointment” in breaking the news to the Webers. But over beers at the Windermere office in West Seattle’s Junction neighborhood, things took another twist. The sole offer was for the full $625,000 asking price, but the bidders had also offered to “escalate” their bid up to $710,000. In today’s hot market, there’s usually no back-and-forth negotiations. Instead, buyers submit offers near the asking price with a note saying how high they’ll go to win a bidding war. But in this case, there would be no feeding frenzy. He was determined to get more money for the house. What Justin described as a “heated discussion” ensued behind closed doors. Lucy seemed torn. She had originally wanted to select someone who would be a good neighbor to her friends on the street. She was also getting cold feet and wasn’t sure she wanted to sell the house at all, citing her emotional attachment to the home where her kids grew up. Godwin and Georger-Clark urged them not to forget they had a “bird in hand.” They couldn’t tell the Webers what to do, but knew from experience that rejecting an offer had risk: The would-be buyers might react angrily and pull out altogether. And it could be dangerous to put the house back on the market. 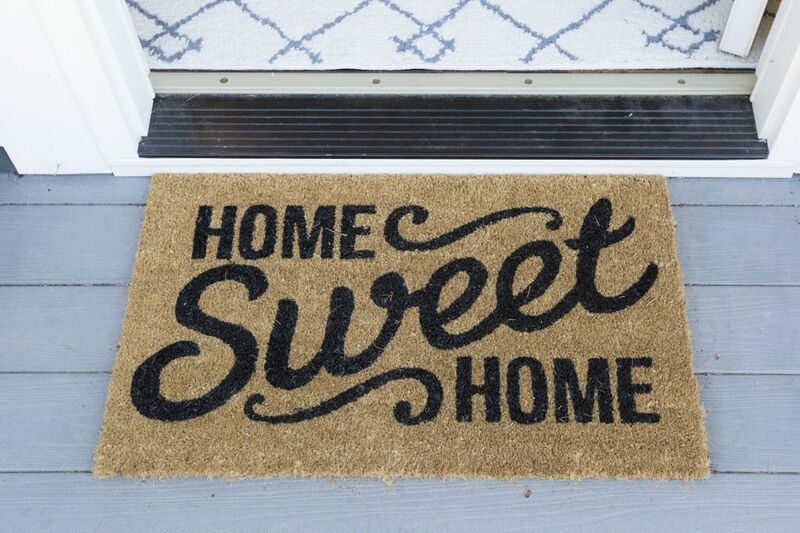 Several visitors at the open house mentioned a home can attract a certain “stink” after a while. Why, in this market, hadn’t it sold yet? Something must be wrong with it. “The market will punish you if it’s on the market too long,” Georger-Clark said. They had already reached the market average: homes typically sell in a week. The brokers need their 3 percent commission, too. The average broker across the country makes about $79,000 a year, according to government statistics, though it’s higher in Seattle since the typical home here sells for more than twice the national average. 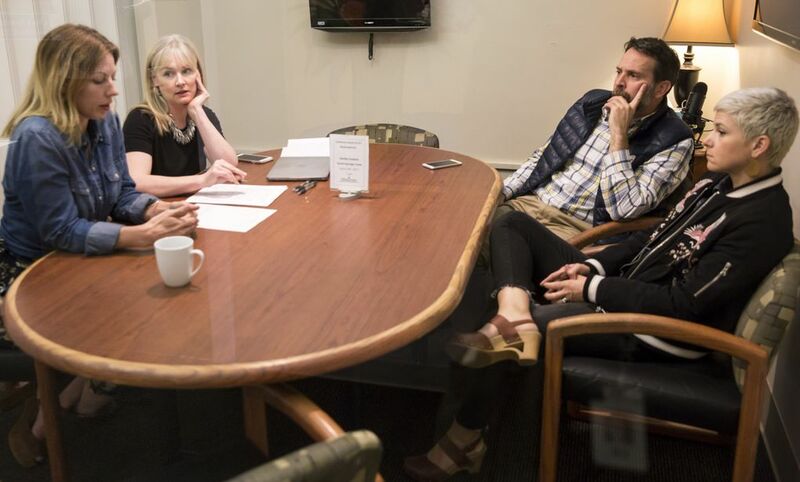 Ultimately, the Webers did something very unusual: They boldly counter-offered the buyer, saying the price had changed, and now it would cost them $660,000, or $35,000 more than the list price. “The reality is, the market is ridiculous,” Justin said. 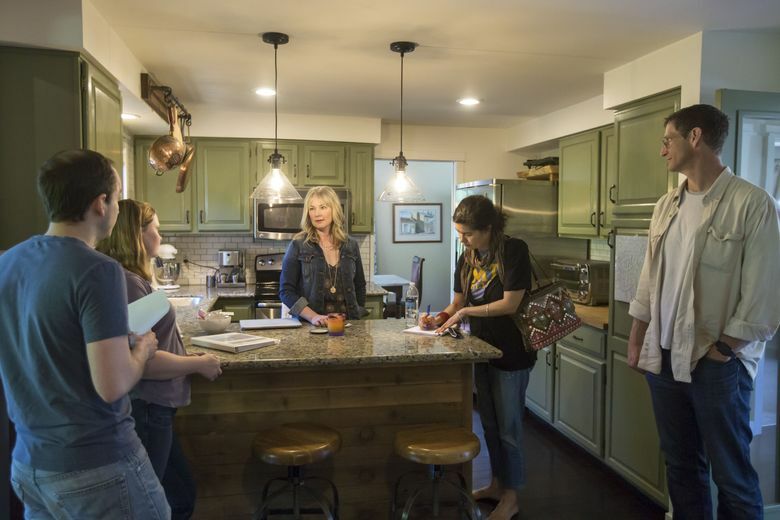 If the buyers rejected this counter-offer, the plan was to put the house back on the market at a higher price, hoping to attract the “bridesmaids” who lost in bidding for the other, nearby house that attracted more offers. Some might see the counter-offer as greedy. The Webers advertised to sell something for a price, someone agreed to buy it for that price, and yet the bidder was still rejected. While it’s unusual, there are no laws or regulations to prevent sellers from changing the price halfway through the game. And it shows just how much power sellers have in this market, and how little power buyers have. Even when you’re lucky enough to avoid competing offers, you could still wind up bidding against yourself. “You might have to take your pride and your principles off the table,” Godwin said of the buyers. The Webers were willing to take the risk of rejection, but were still concerned the plan would fail. Lucy mentioned the emotional ups and downs of everything. She didn’t seem as gung-ho about the counter-offer: “It was a really good bid,” she said. But she also kept hinting at just keeping the house. “We weren’t sure if they were not going to sell it all, or if they really in their hearts wanted to sell,” Georger-Clark would say later. The interested buyers were Angela and Ryan Binder, a West Seattle couple who have two young boys. The family had been through the house three times before making the offer. Their agent called back a day after the Webers’ counter-offer to say they weren’t happy. Still, the Binders made a counter-offer of their own: $635,000 — a compromise between the $660,000 the Webers wanted and the $625,000 list price. The Webers wanted more money and said no, and the Binders indicated they were done. The deal was dead. Everyone would have to start over. Godwin and Georger-Clark pulled the listing and put up a new one, this time asking $650,000. The next day, Godwin got a surprise phone call. OK, the Binders said. We’ll do $645,000. The Webers accepted. The house “went pending” that day — meaning they had a deal in principle — and the transaction closed a month later. “To be honest, I’ve never had that happen,” Godwin said about the back-and-forth negotiations. “I think there were some hurt feelings along the way,” she said. “The buyers are disappointed and frustrated and upset, but they say ‘OK,’ and then they buy it,” Georger-Clark said. But because the Webers got a quick sale for above the asking price and the Binders ultimately paid below their ceiling, “I think both (sides) kind of won, and are content,” Godwin said. After the deal closed, Angela Binder clearly wasn’t thrilled about the way the negotiations played out. She called it “super uncomfortable” and lamented how every seller assumes they will get more than the list price. “We felt like asking price was asking price,” she said. But she had chosen to overlook that, and said she didn’t harbor any ill will. That’s largely, again, a result of the hot market: The Binders went into the homebuying process hearing horror stories about people losing a dozen bidding wars or searching for more than a year. They had already lost one house (by more than $100,000) prior to getting the Webers’ home. It took them about six months from start to finish to get a home — fast by Seattle standards. And they still paid less than their max price. 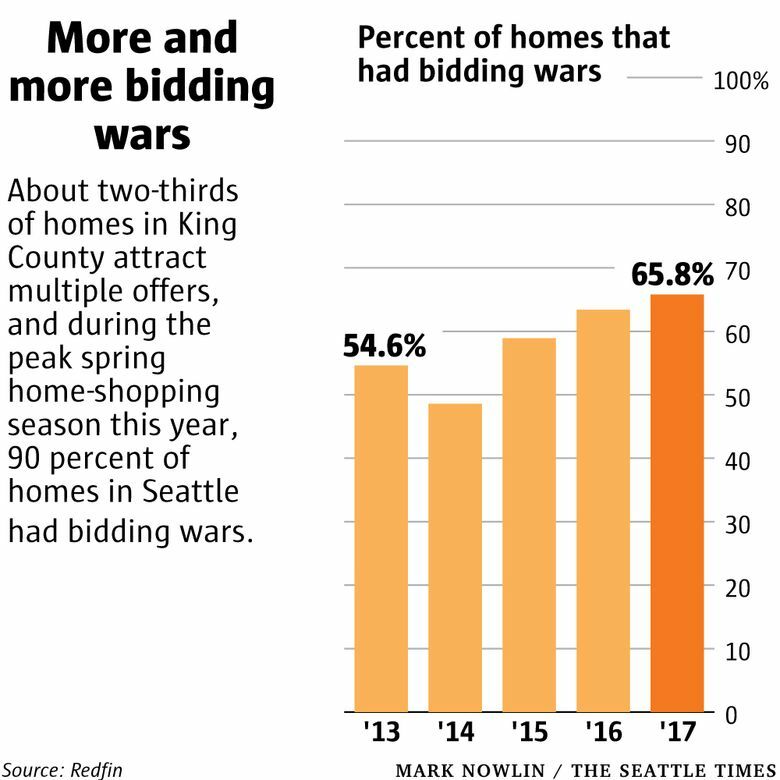 Plus, they benefited from the market, too: They quickly sold their smaller home, also in West Seattle, that they had bought a decade prior. Update: This post has been updated to reflect the average pay for U.S. real estate brokers.